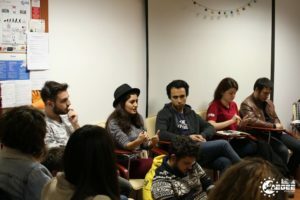 AEGEE-Eskişehir was our Local of the Month of December, and the Turkish antenna is in full swing organising local events, but also international ones. It signed the Convention d’Adhesion in 2001 during Autumn Agora Ankara, organising the Balkans Regional Meeting one year later. 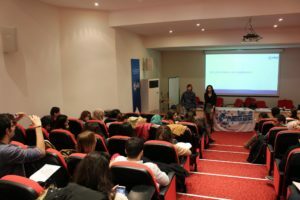 Their activities are local projects, thematic events, Summer Universities, Network Meetings and weekly meetings on every Wednesday with a focus on thematic topics, and they also organised Autumn Agora Eskişehir in 2007. That is not all: from the 3rd to the 10th of April they will host the Fund Raising European School (FRES), in cooperation with AEGEE-Europe and AEGEE-Academy. We spoke with the president of the Antenna Toygar Öter and the Speaker of the Academy Antonis Triantafyllakis to know something more about the event. Remember, the deadline is on the 2nd of March! The AEGEEan: Why did you decide to organise the FRES? Toygar: To be honest, the former board applied for FRES, but I was on that board too and I wanted to have this event very much. After our General Assembly, where I became President, the new team adopted this event easily because there was not a European School event in AEGEE-Eskişehir history. Fundraising is a very attractive topic, every member of AEGEE-Eskişehir wants to do fundraising talks because it contributes to the development of the person and I think it is really entertaining. Most of the locals are facing with money and sponsorship issues. Fortunately, Eskişehir is a student city, most of the company knows us. In short, we trust ourselves in raising funds and we want to share our experiences. When we found such an opportunity, we did not want to miss it. Who are going to be the trainers of the event? Antonis: We are lucky to have a team of trainers with diverse backgrounds and knowledge to offer to the event, ensuring an amazing learning experience for the participants of FRES Eskişehir: Daria Andreieva from BEST, Vladislav Andrijako from Euroavia, Antonis Triantafyllakis from AEGEE-Academy and Réka Salamon from AEGEE-Europe. Can you give us a sneak peek of the program? What will the sessions be? Antonis: Participants will enjoy an overall coverage of both institutional and corporate fundraising, including all you need to know about grants such as Erasmus+ and how to apply for them, corporate sponsors, how to approach them and maintain a long-term relationship with them, the psychology of marketing and how to apply it on fundraising, how to manage your funds and pretty much all you need to know in order to successfully carry on a strategic fundraising plan for the projects of your local. The main structure will be the familiar one from all AEGEE-Academy European Schools, with the theory given in the morning sessions in an interactive manner and practice being done in the afternoon based on working groups, fully incorporating the group dynamics into the learning process, as you would expect from an AEGEE-Academy training. Most importantly, we will put the FUN into fundraising! What do you have in store for participants? 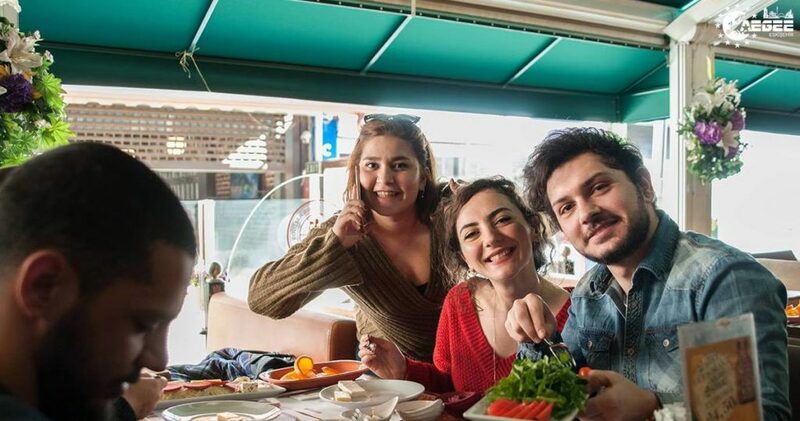 Toygar: We provide to participants seven days lodging in a villa (unfortunately we will have no pool), three meals per day, local transportation, sessions in Anadolu University, which is one of the most active universities in Turkey, city tour, parties, lots of fun and surprises! And you may not believe but it is just for 75€! What are your experience and your strategy with fundraising? Toygar: As I mentioned before Eskişehir is a small and student city. 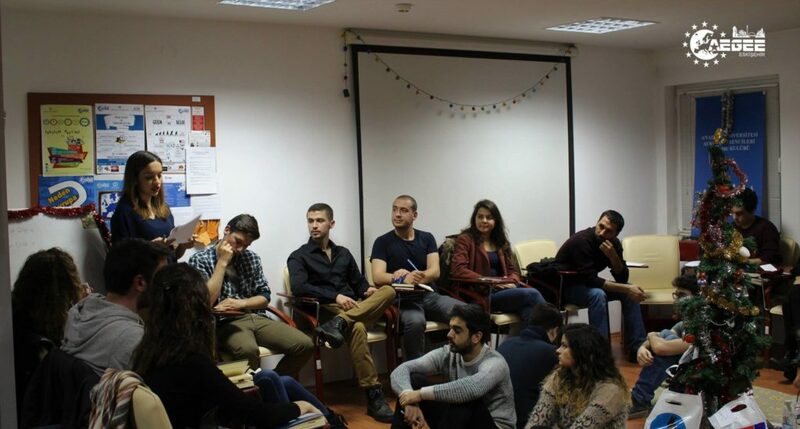 AEGEE-Eskişehir is a very known organisation in university and in the city. Almost every new board goes to meet with the university administration, mayors of municipalities and governor of Eskişehir. They support us as much as possible. On the other hand, we have lots of events in a year and we search different companies for each event. For example, we carry out our common meetings every Wednesday and we have a tradition which after every common meeting we go to dinner together. We try to go to different places every week. All of this is making us very known in Eskişehir and making things easier in order to get supports. In my opinion, as AEGEE-Eskişehir we have a long history and traditions. 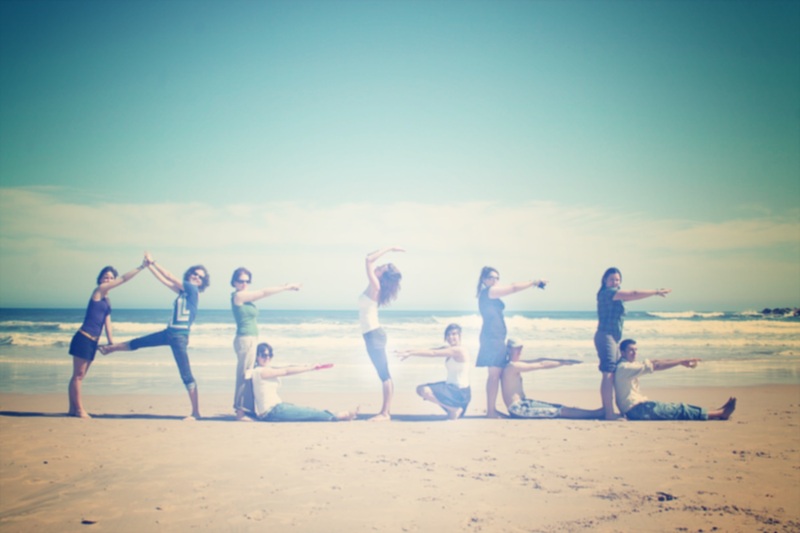 Summing up, we take care of our work as a professional also we know how to live it up! Alumni, experienced members or new ones, we are a huge family! What is the involvement of the Academy? Antonis: FRES is a European School, so it is kind of a…child of AEGEE-Academy. Like all European Schools, the structure is fully based on non-formal education methodologies, so it is interactive, tailored to the needs of the learners, held in a participatory, learning by doing manner and, above all, fun! AEGEE-Academy coordinates the project, from design to implementation and evaluation, ensures the quality of the content, the harmonious collaboration between the trainers’ team and the local organisers. AEGEE-Academy also guarantees the positive impact of the event. How is the cooperation with AEGEE-Eskişehir going? Antonis: AEGEE-Eskişehir is full of absolutely lovable people who are also reliable organisers, so we are very happy to work with them and eager to meet them in the beautiful city of Eskişehir! How is cooperation with the Academy going? Toygar: We want to thank them for electing us to organise this event as AEGEE-Eskişehir. They are supporting us as much as they can. What is the most amazing thing about your local and your city? Toygar: Eskişehir is a small city, however, it is the best for students in Turkey. Even though it is a small city, it has two big universities. A city with all the opportunities for a student. If you are studying here, you know that you are very lucky!